John Smith is not your average teenager. He regularly moves from small town to small town. He changes his name and identity. He does not put down roots. He cannot tell anyone who or what he really is. If he stops moving those who hunt him will find and kill him. But you can't run forever. So when he stops in Paradise, Ohio, John decides to try and settle down. To fit in. And for the first time he makes some real friends. People he cares about - and who care about him. Never in John's short life has there been space for friendship, or even love. But it's just a matter of time before John's secret is revealed. He was once one of nine. Three of them have been killed. Pittacus Lore (pseudonym forJames Frey and Jobie Hughes) is a Loric Elder, from the Planet Lorien, which is three hundred million miles away. He is approximately ten thousand years old. He has been to earth hundreds of times, and he is here now. The door starts shaking. It's a flimsy thing made of bamboo shoots held together with tattered lengths of twine. The shake is subtle and stops almost immediately. They lift their heads to listen, a fourteen-year-old boy and a fifty-year-old man, who everyone thinks is his father but who was born near a different jungle on a different planet hundreds of light years away. They are lying shirtless on opposite sides of the hut, a mosquito net over each cot. They hear a distant crash, like the sound of an animal breaking the branch of a tree, but in this case, it sounds like the entire tree has been broken. 'What was that?' the boy asks. They hear the chirp of insects, nothing more. The man brings his legs over the side of the cot when the shake starts again. A longer, firmer shake, and another crash, this time closer. The man gets to his feet and walks slowly to the door. Silence. The man takes a deep breath as he inches his hand to the latch. The boy sits up. 'Run.' He falls lifeless to the floor. The boy leaps from the cot, bursts through the rear wall. He doesn't bother with the door or a window; he literally runs through the wall, which breaks apart as if it's paper, though it's made of strong, hard African mahogany. He tears into the Congo night, leaps over trees, sprints at a speed somewhere around sixty miles per hour. His sight and hearing are beyond human. He dodges trees, rips through snarled vines, leaps small streams with a single step. Heavy footsteps are close behind him, getting closer every second. His pursuers also have gifts. And they have something with them. Something he has only heard hints of, something he never believed he would see on Earth. The crashing nears. The boy hears a low, intense roar. He knows whatever is behind him is picking up speed. He sees a break in the jungle up ahead. When he reaches it, he sees a huge ravine, three hundred feet across and three hundred feet down, with a river at the bottom. The river's bank is covered with huge boulders. Boulders that would break him apart if he fell on them. His only chance is to get across the ravine. He'll have a short running start, and one chance. One chance to save his own life. Even for him, or for any of the others on Earth like him, it's a near impossible leap. Going back, or going down, or trying to fight them means certain death. He has one shot. There's a deafening roar behind him. They're twenty, thirty feet away. He takes five steps back and runs – and just before the ledge, he takes off and starts flying across the ravine. He's in the air three or four seconds. He screams, his arms outstretched in front of him, waiting for either safety or the end. He hits the ground and tumbles forward, stopping at the base of a mammoth tree. He smiles. He can't believe he made it, that he's going to survive. Not wanting them to see him, and knowing he needs to get farther away from them, he stands. He'll have to keep running. He turns towards the jungle. As he does, a huge hand wraps itself around his throat. He is lifted off the ground. He struggles, kicks, tries to pull away, but knows it's futile, that it's over. He should have expected that they'd be on both sides, that once they found him, there would be no escape. The Mogadorian lifts him so that he can see the boy's chest, see the amulet that is hanging around his neck, the amulet that only he and his kind can wear. He tears it off and puts it somewhere inside the long black cloak he is wearing, and when his hand emerges it is holding the gleaming white metal sword. The boy looks into the Mogadorian's deep, wide, emotionless black eyes, and he speaks. The Mogadarian laughs, a nasty, mocking laugh. It raises the sword, the only weapon in the universe that can break the charm that until today protected the boy, and still protects the others. The blade ignites in a silver flame as it points to the sky, as if it's coming alive, sensing its mission and grimacing in anticipation. And as it falls, an arc of light speeding through the blackness of the jungle, the boy still believes that some part of him will survive, and some part of him will make it home. He closes his eyes just before the sword strikes. And then it is over. In the beginning there were nine of us. We left when we were young, almost too young to remember. I am told the ground shook, that the skies were full of light and explosions. We were in that two-week period of the year when both moons hang on opposite sides of the horizon. It was a time of celebration, and the explosions were at first mistaken for fireworks. They were not. It was warm, a soft wind blew in from off the water. I am always told the weather: it was warm. There was a soft wind. I've never understood why that matters. What I remember most vividly is the way my grandmother looked that day. She was frantic, and sad. There were tears in her eyes. My grandfather stood just over her shoulder. I remember the way his glasses gathered the light from the sky. There were hugs. There were words said by each of them. I don't remember what they were. Nothing haunts me more. It took a year to get here. I was fi ve when we arrived. We were to assimilate ourselves into the culture before returning to Lorien when it could again sustain life. The nine of us had to scatter, and go our own ways. For how long, nobody knew. We still don't. None of them know where I am, and I don't know where they are, or what they look like now. That is how we protect ourselves because of the charm that was placed upon us when we left, a charm guaranteeing that we can only be killed in the order of our numbers, so long as we stay apart. If we come together, then the charm is broken. When one of us is found and killed, a circular scar wraps around the right ankle of those still alive. And residing on our left ankle, formed when the Loric charm was first cast, is a small scar identical to the amulet each of us wears. The circular scars are another part of the charm. A warning system so that we know where we stand with each other, and so that we know when they'll be coming for us next. The first scar came when I was nine years old. It woke me from my sleep, burning itself into my flesh. We were living in Arizona, in a small border town near Mexico. I woke screaming in the middle of the night, in agony, terrified as the scar seared itself into my flesh. It was the first sign that the Mogadorians had finally found us on Earth, and the first sign that we were in danger. Until the scar showed up, I had almost convinced myself that my memories were wrong, that what Henri told me was wrong. I wanted to be a normal kid living a normal life, but I knew then, beyond any doubt or discussion, that I wasn't. We moved to Minnesota the next day. The second scar came when I was twelve. I was in school, in Colorado, participating in a spelling bee. As soon as the pain started I knew what was happening, what had happened to Number Two. The pain was excruciating, but bearable this time. I would have stayed on the stage, but the heat lit my sock on fire. The teacher who was conducting the bee sprayed me with a fire extinguisher and rushed me to the hospital. The doctor in the ER found the first scar and called the police. When Henri showed, they threatened to arrest him for child abuse. But because he hadn't been anywhere near me when the second scar came, they had to let him go. We got in the car and drove away, this time to Maine. We left everything we had except for the Loric Chest that Henri brought along on every move. All twenty-one of them to date. The third scar appeared an hour ago. I was sitting on a pontoon boat. The boat belonged to the parents of the most popular kid at my school, and unbeknownst to them, he was having a party on it. I had never been invited to any of the parties at my school before. I had always, because I knew we might leave at any minute, kept to myself. But it had been quiet for two years. Henri hadn't seen anything in the news that might lead the Mogadorians to one of us, or might alert us to them. So I made a couple friends. And one of them introduced me to the kid who was having the party. Everyone met at a dock. There were three coolers, some music, girls I had admired from afar but never spoken to, even though I wanted to. We pulled out from the dock and went half a mile into the Gulf of Mexico. I was sitting on the edge of the pontoon with my feet in the water, talking to a cute, darkhaired, blue-eyed girl named Tara, when I felt it coming. The water around my leg started boiling, and my lower leg started glowing where the scar was imbedding itself. The third of the Lorien symbols, the third warning. Tara started screaming and people started crowding around me. I knew there was no way to explain it. And I knew we would have to leave immediately. The stakes were higher now. They had found Number Three, wherever he or she was, and Number Three was dead. So I calmed Tara down and kissed her on the cheek and told her it was nice to meet her and that I hoped she had a long beautiful life. I dove off the side of the boat and started swimming, underwater the entire time, except for one breath about halfway there, as fast as I could until I reached the shore. I ran along the side of the highway, just inside of the tree line, moving at speeds as fast as any of the cars. When I got home, Henri was at the bank of scanners and monitors that he used to research news around the world, and police activity in our area. He knew without me saying a word, though he did lift my soaking pants to see the scars. They are hunting us, and they won't stop until they've killed us all. 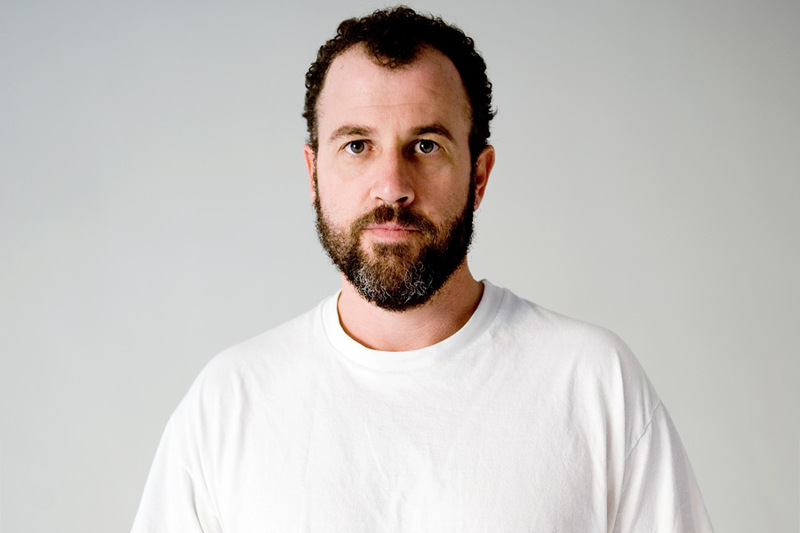 James Frey is the author of a million little pieces and my friend leonard. After battling with alcohol addiction and spending time in rehab, he wrote a million little pieces which was published in 2003 in America and the following year in the UK to critical acclaim. He wrote the sequel, my friend leonard about life after rehab, which was published in 2005 in the US and the year after in the UK. There are mysteries in human history for which there are no apparent explanations. There are unexplained jumps in the development of human technology. No one can explain things like the lost City of Atlantis, the Loch Ness monster, the Bermuda Triangle, and, of course, crop circles and UFOs. The explanation for these, and many other of Earth’s mysteries, is that aliens have been visiting your planet, and influencing events, for as long as the planet has existed. I am Pittacus Lore. I am from the Planet Lorien, three hundred million miles away. I am one of ten Elders who lived on our planet. I am ten thousand years old. Everyone on Lorien was gifted. We are incredibly strong, incredibly fast, and we are born with powers called legacies. Despite our powers, the Elders, responsible for the defense of our planet, failed. Lorien has been destroyed. Our entire population was killed, except for nine children and their nine guardians. The Nine fled to earth, where we hoped they would be able to hide and grow, to develop their Legacies and one day avenge the loss of Lorien. Unfortunately, the same race that destroyed Lorien followed them to Earth. They have been hunting the children and have killed three of them. The six that are still alive have started fighting back. Our war has come to your planet, and it will either be won or lost here. I am telling the story of Lorien, the Nine, and the war at hand so you do not allow the same thing that happened to us happen to you. I am trying to find the Nine and unite them. They may be walking past you right now, or sitting near you, or watching you as you read this. They may be in your city, your town. If they are doing what they are supposed to be doing, they are living anonymously, training, and waiting for the day when they will find each other, and me, and we will make our last stand together. Pittacus Lore is the pseudonym for James Frey (author of "A Million Little Pieces") and Jobie Hughes.